I thought I would take a couple of pics of some of the pots I'm taking to the NWTF convention. I will be a part of the Mississippi Callmakers booth with Tom Crook, John Eddleman, and Mark McPhail. Make sure you drop by the booth if you are coming!! We will be in booth 324!! 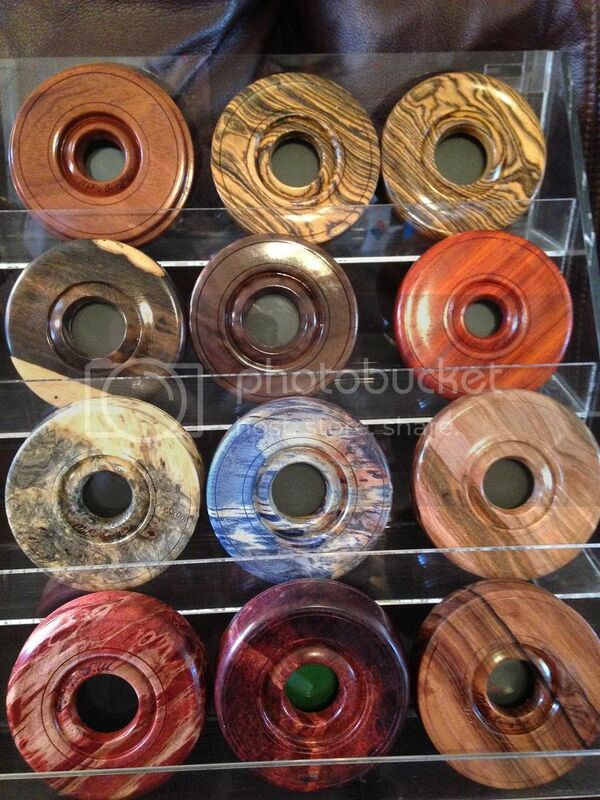 I like the middle one bottom row in the top picture, I think it looks like a spalted pecan. jv wrote: I like the middle one bottom row in the top picture, I think it looks like a spalted pecan. That is stabilized Buckeye Burl!The one in the other picture to the left of the blue call is the same wood ,but it looks better in my opinion. 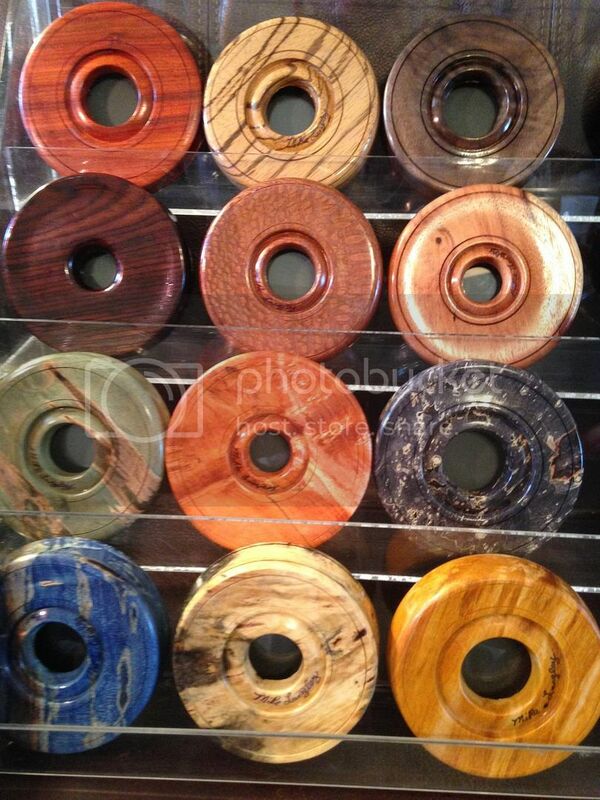 If anyone wants a closeup of any call just let me know and i will send pic this evening. Last edited by Luckydawg on Wed Feb 11, 2015 11:21 am, edited 1 time in total. That is stabilized Buckeye Burl! 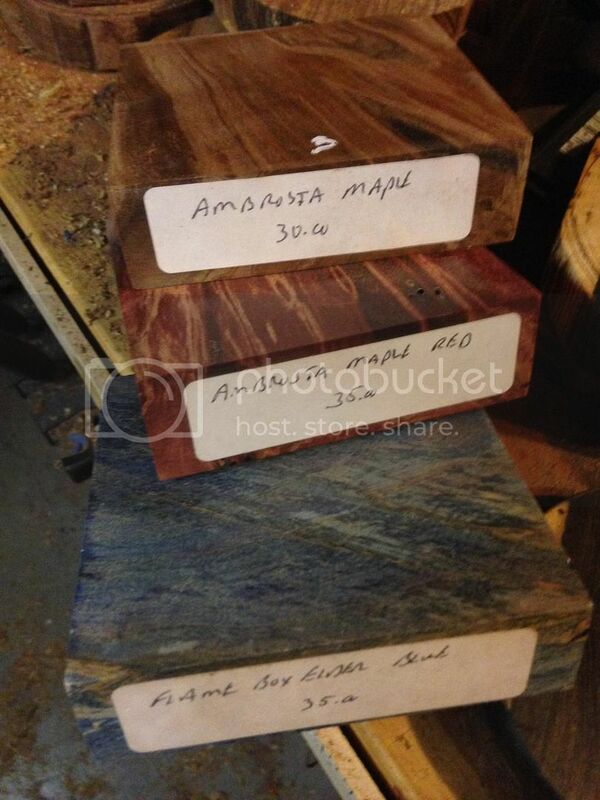 These pots made out of stabilized wood are expensive but are truly one of a kind. However because they are put under a vacuum and infused with resin they will not "move" like other woods if subjected to the weather. If you like one text me and I will send you a close up pic. I snapped a picture of three of the blanks before I turned them as evidence of their cost! what is the one in the second pic second row on the left? Sorry that is buckeye burl and it has been sold! Sorry I missed you in Nashville. My wife & I enjoyed the Convention. I didn't read this post until we returned. Boy, did we just get out of town in time. They have had had a lot of snow & ice since Sunday! Hope you weren't caught in it. However, you have probably had some in N. MS as well. I need to get up with ya and get a couple more mouth calls. The pit boss sounds better than any call I've ever used. Got a chance to meet Luckydawg a couple of days ago and picked up a couple of pot call from him. Was great to meet you Mike and love the calls they sound great and I did mean to ask you about your mouth calls and thought about after you had gone but will be in contact later about them. Here are the two calls I got from Luckydog. jv wrote: Got a chance to meet Luckydawg a couple of days ago and picked up a couple of pot call from him. Was great to meet you Mike and love the calls they sound great and I did mean to ask you about your mouth calls and thought about after you had gone but will be in contact later about them. Here are the two calls I got from Luckydog. They look great jv, hope you get that big gobbler while using them.